Established in 1996 by Tom Bandt, DJ Express has built a reputation for providing the absolute best in entertainment in the Madison area. In 2006, Tom received a "Five Star" rating from a local publication, Rhythm Magazine, in a review of local disc jockeys and night clubs. In 2017, DJ Express earned an "A" grade from the Small Business Advisory of Madison for it's amazing work with the Special Olympics, schools, wedding receptions and it's corporate bookings. Tom Bandt has provided entertainment up to 6 nights a week for over 25 years so you know he has the dedication to succeed and the knowledge to do so. His compassion for his customers is something no other disc jockey service in Madison can provide. We strive to live up to our reputation of "Madison's Hottest Mix Of Music" with a huge selection of hits from yesterday and today. Our music library is updated every week with the new hits as they are released. Our light show is explosive enough to rival most night clubs with the addition of lazers to our deluxe lighting package. We have entertained everyone between the ages of 5 to 75 with a perfect mix of Top 40, Modern Rock, Classic Rock, Country, Oldies, Disco, Funk, Rap, Techno and Dance Music. And yes, we can even do Polka's, Waltzes and Easy Listening music as well. We are able to beat mix rock into country then into rap so that bass beat never stops and the dancefloor stays packed. There is a true art in mixing music together and at DJ Express, we can amaze you with our creativity. DJ Express has rocked some of the biggest night clubs, reception halls and schools in southern Wisconsin. We keep our prices lower than our competitors because while they do it for profit, we do it for fun!!! The better your experience is, the more fun we all have. Our typical bar prices are $175 during the week and $200 on the weekends. DJ Express also offers discounts to our regular customers. So if your bar books us every week or every month and you have a disappointing night in sales, we are happy to offer a discount of up to $50 to $75 for that night. We are also happy to offer discounts to not only our repeat customers but their referrals as well. In 2011, we started a new tradition of giving away a trip for two to Las Vegas to our best customers every year just to show our appreciation for their business. We are proud to offer a discounted 2 or 7 night Wisconsin Dells condo stay to all of our wedding reception customers. We do a ton of giveaways at every show we do and your customers will always come back for more. We always play your requests with a unique blend of style and charisma. Since 1996, we have specialized in night clubs, karaoke bars, wedding receptions, school dances, corporate functions, fund raisers and private parties. In 2003, we began to provide karaoke services. Other karaoke services will update their music library every 4 months, but at DJ Express, we add brand new additions twice a week. If we don't have your favorite song, we'll get it if it's available. However, if your song is not available, we can actually make it for you. Therefore, YOU will always be the star of the show with the songs that YOU want to sing. We now have the biggest and the best karaoke library in Madison so when our karaoke package is added to our disc jockey services, it becomes a show you have to see to believe!! We won't talk your ear off but we do crack some one liners to make you laugh and of course we play the music you want to hear to keep you on the dance floor all night long!! 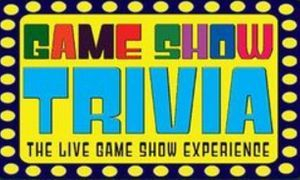 In 2018, we have also added Game Show Trivia to our services. We can host "Who Wants To Be A Millionaire", "Wheel Of Fortune", "Jeopardy", "Family Feud" or even "Bingo" to entertain people of all ages so even if music isn't your thing, we can make you happy as well. Needless to say, we can do anything you need done in the entertainment world. Karaoke contests always win big, trivia contests are always a blast and with the best music in Madison, your guests will be on the edge of their seats all night long. "Tom Bandt from DJ Express did a great job at our grade school sock hop. He kept the kids entertained and had them dancing all night long. Simply the best entertainer around at a great price. He really enjoys his job and we love having him!!" "We have had so many of our guests tell us that ours was the most fun wedding reception they have ever been to. His light show and his personality really made our night. Tom took the time to meet with Greg and I to get to know our music style and what our expectations were. His prices couldn't be beat!! If you are looking for someone to make your occasion as fun as possible, you want Tom as your dj." "I met Tom at a bar called Sharp Shooters in Portage in 2008. Tom was engaging and friendly and played all the right music at exactly the right time. The energy was great and the people had an incredible time. He really loves what he does and I personally recommend Tom to any client looking for a great person, disc jockey, price and experience."